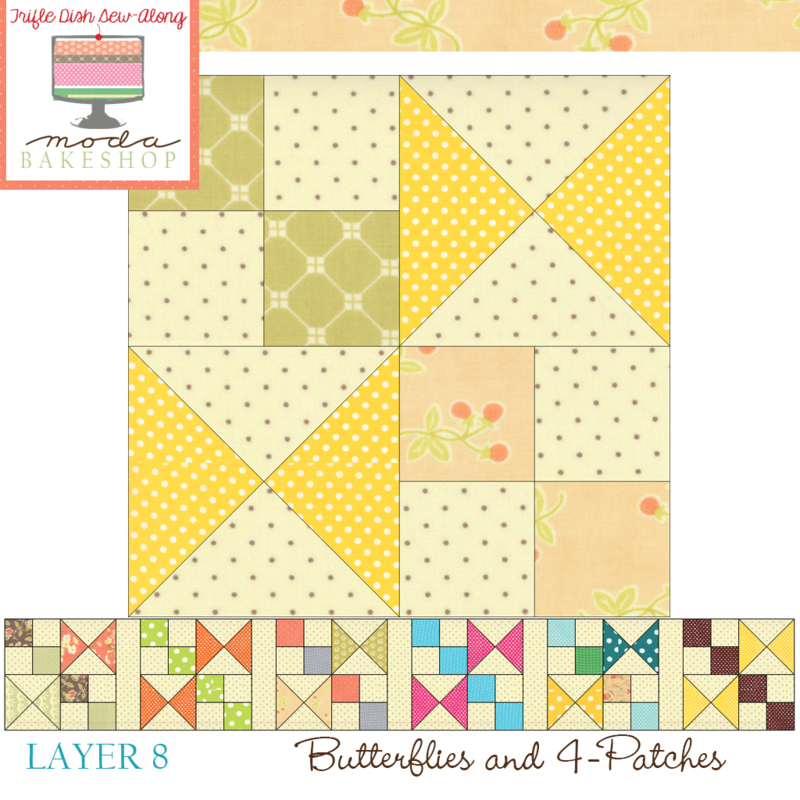 To make LAYER 8, use charm packs, Moda candy, and layer cakes to mix and match for a scrappy version. 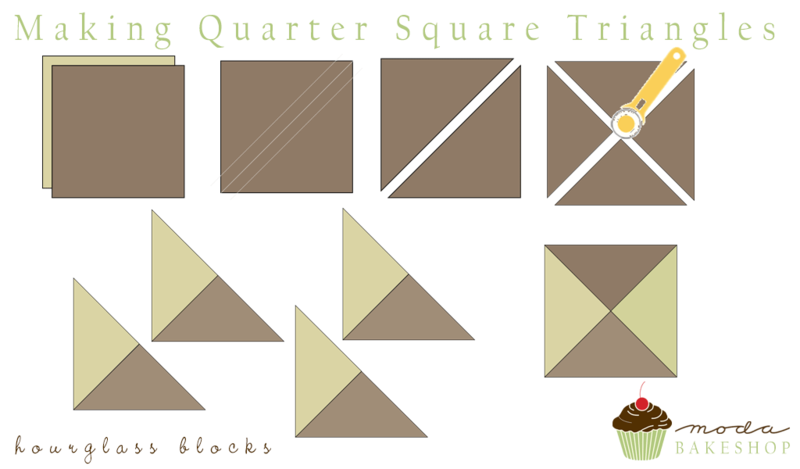 Fat quarters will yield more repetitive blocks. Note that the above fabric requirements won’t yield a completely scrappy block. Mix and match the block components in the row for a truly scrappy look. You will need an additional (5) strips of background fabric measuring 2½” x 9½” to complete the row. 1. Create quarter square triangles/hourglass blocks for the butterflies. Mark a pencil line along the diagonal of 1 background 6″ square. Place right sides together with a butterfly 6″ square. Sew a ¼” seam on each side of the pencil line. Trim along the opposite diagonal and then trim each piece on the pencil line to create 4 hourglass units. 2. Make 4-patch units. Join 1 background 2¾” square with 1 print 2¾” square to create a 2-patch unit. Press to the darker fabric. Repeat to make one additional 2-patch unit. Flip one 2-patch unit so the background fabric is opposite the print fabric and sew a ¼” seam. Press to the darker fabric. Make (2) 4-patch units for this block. They should measure 5″ unfinished. 3. Join butterfly and 4-patch blocks to complete the block as shown. This entry was posted in Charm Pack, Easy, Fat Quarter Bundle, Layer Cake, Moda Candy/Mini Charms/Petit Fours, Quilt and tagged Dottie, Fig Tree and Co., Mirabelle, Moda Basics, Notes of Sincerity, Trifle Dish Quilt.